This is the public profile of Teddy Lo, Additional information and high-resolution images are available for accredited press members, to access additional information about Teddy Lo please login as a press member. 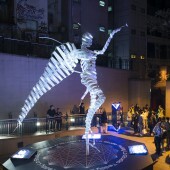 About Teddy Lo : Teddy Lo aims to push the sustainable and spiritual boundaries of future experience with digital media and lighting technology. His artistic practice departs from research on the electromagnetic spectrum and its potential biological, psychological and spiritual affects, combining ancient old chrome-therapy with the newest LED technology. His most recent work explores compelling and healing affects on humans and biological matter through light and other frequencies. The artist graduated in Advertising Designs at Art Center College of Design in Pasadena followed by a Masters in Lighting with the Queensland University of Technology. His work has evolved from luminous motion graphics and data visualisation, engineering and programming techniques with LED technology in 2d and 3d, to sculptural design and sculptural forms, regenerative art with interactive behaviours, and luminous spatial environments. Besides contemporary artworks, Lo has designed the exterior lighting for the tallest building in China, the Shanghai Tower, and a digital media infrastructure for the new World Trade Center in NYC, among many projects. The artist aims to push the boundaries of our future experience of digital media and lighting with the goal of promoting sustainable technology and advancing human spirituality with his work. His new projects are focusing on creating luminous spatial environment and lighting experience for the viewers to perceive and thus, offering them various compelling and healing effect through light and other frequencies. The artist aims to inspire the world with positive and enlightening thoughts with the illuminating medium LED technology. There is no difference in creativity in art and design, the only difference is the framework for their objectives. Art is the ultimate form of self-expression and what makes us unique as human beings. Art is in our everyday life and participates in our spiritual and sustainable evolution in accordance with time. Art is what makes life beautiful. Sept, 01 – July, 02, Freelance Graphic Designer,LTK Industries Limited. Hong Kong, China. Dec, 01 – Sept, 02, Freelance Art Director and Producer, Cotco Holdings Limited. Hong Kong, China. Feb, 03 – June, 03, Freelance Graphic Designer, Light Engine, Inc. Hong Kong, China. Oct 03 – Sept, 05, Chairman, Executive Creative Director, Demiurge Unit LLC, New York. Oct, 05 – current, Chairman, Chief Vision Officer, LEDARTIST Limited, Hong Kong. 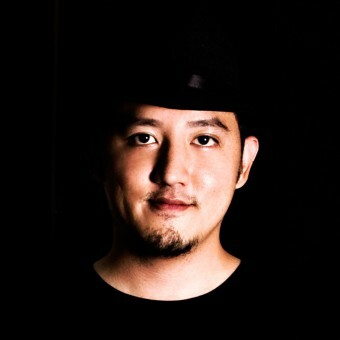 May, 12 – current, Director of Innovation, LIGHT ENGINE, Inc. Hong Kong, China. 2007, Innovative Entrepreneur by Junior Chamber International, Hong Kong. 2006, Hong Kong Awards for Industries – Innovative & Creativity Certificate of Merit by Hong Kong General Chamber of Commerce. Press Members: Request an exclusive interview with Teddy Lo.